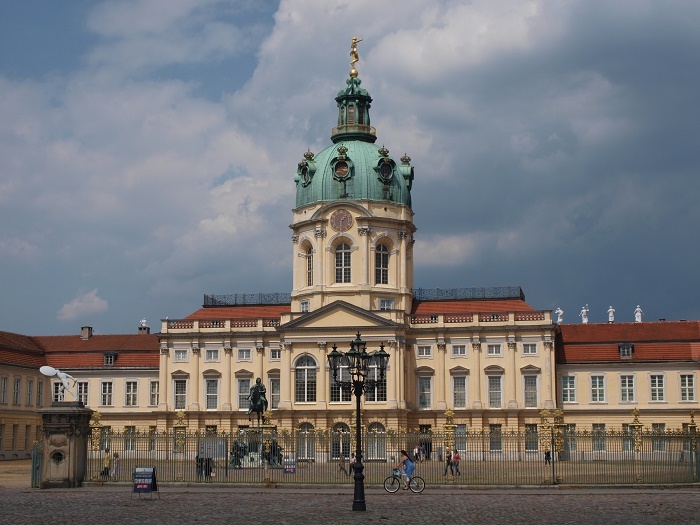 Charlottenburg Palace is one of the most famous landmarks and the largest palace that is located in the capital city of the Federal Republic of Germany, Berlin. 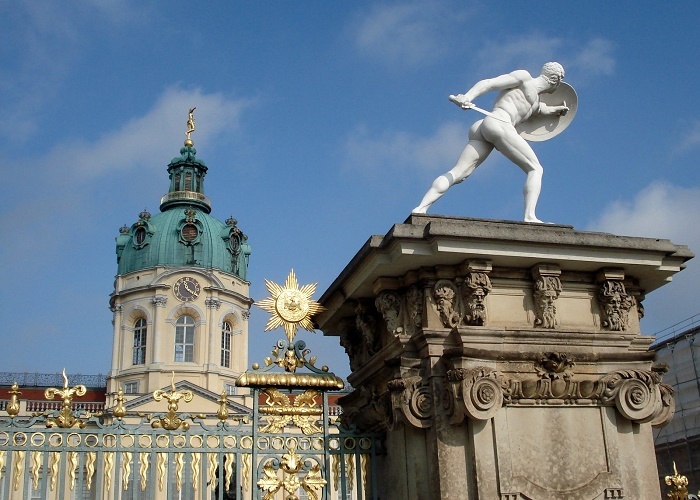 Located in the district that also has the same name of the Charlottenburg-Wilmersdorf borough, this baroque and rococo styles palace is a marvelous architectural masterpiece that was built at the end of the 17th century. 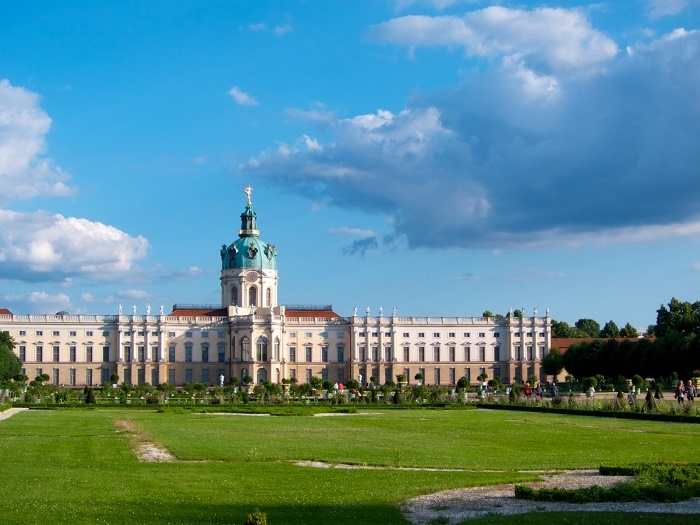 As previously states, this is the largest, however, also the most beautiful royal palace still standing in the capital, it was built as a summer residence for the first Queen of Prussia, Sophie Charlotte. 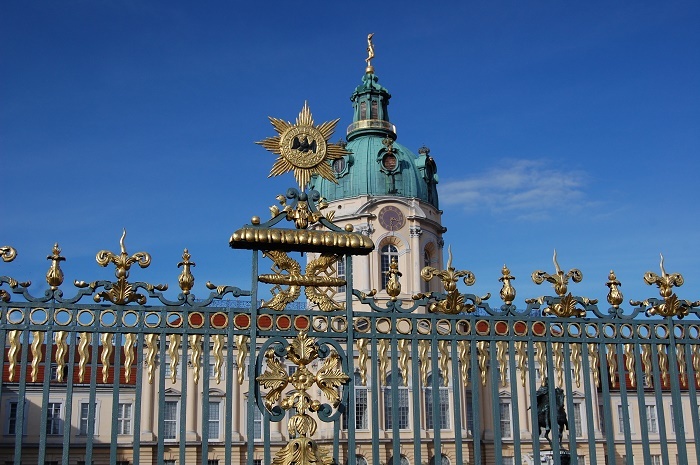 The subsequent generations of the royal family expanded and remodeled the palace according to the taste of their time, which nowadays the palace contains interior decoration reflecting several architectural styles. 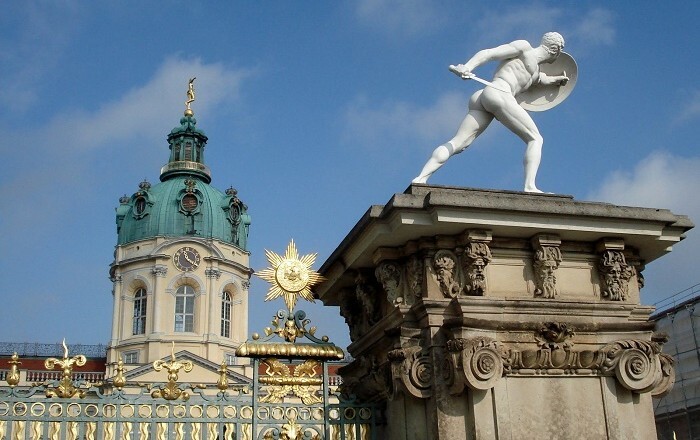 Built by Elector Friederich III in 1699, in the remodeling and enlargement of the palace, a domed tower crowned with a statue of the goddess of happiness Fortuna was added, together with several wings, the Orangeries, the annex, and the Belvedere Teahouse which today serves as a porcelain museum. 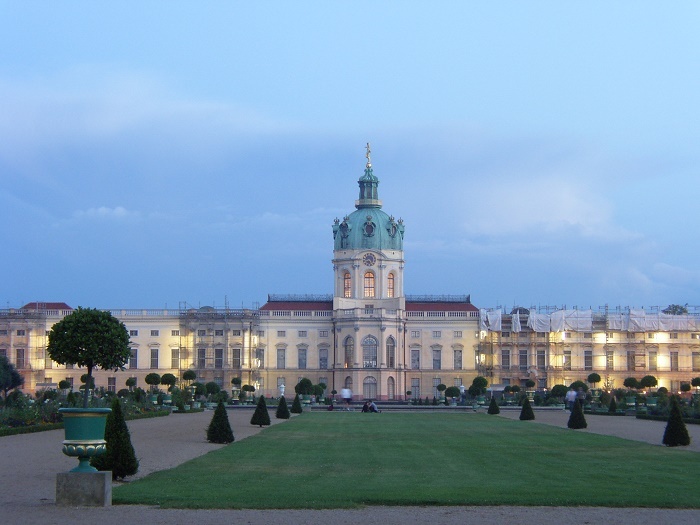 The Mausoleum of Queen Louise is located on the premises of Charlottenburg Palace, as well as the Schinkel Pavilion, built as a summerhouse for King Friedrich Wilhelm II. 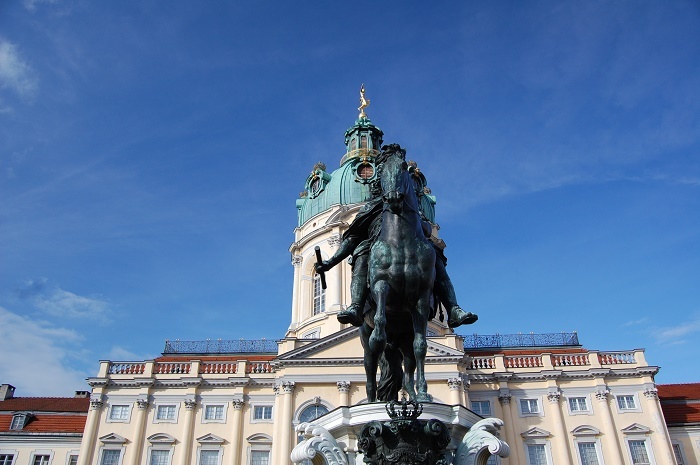 The focal point of the palace courtyard is the large equestrian statue of Friedrich Wilhelm I, which stands atop a pedestal and greeting all those visitors to the palace. 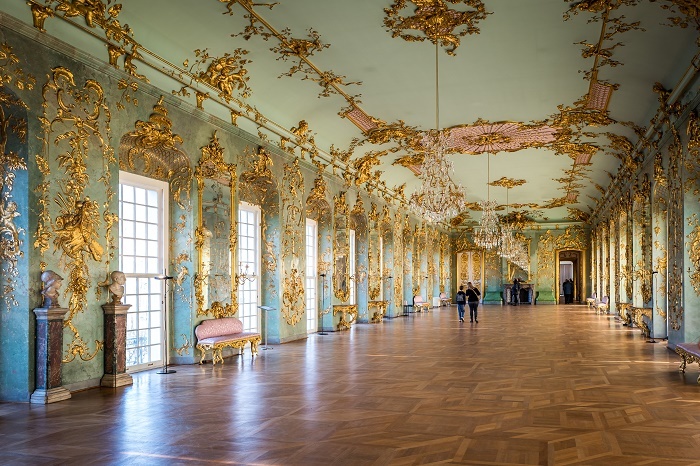 The interior of the palace is as rich as the exterior, where one of the rooms, the Amber Room (Bernsteinzimmer) was described as “the eight wonder of the world”. 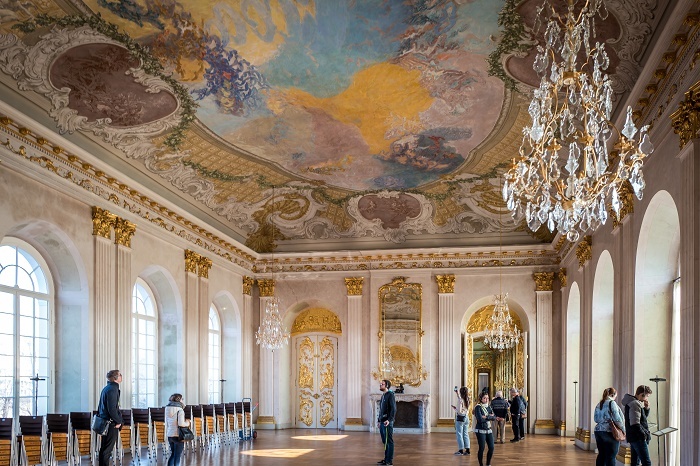 Nonetheless, the room’s walls are surfaced in decorative amber, designed by Andreas Schlüter, whereas the amber decorations were done by the Danish amber craftsman Gottfried Wolfram. The impressive garden otherwise, was designed by Simeon Godeau in 1697 in baroque style, who was greatly influenced by André Le Nôtre, the designer of the gardens at Versailles. Godeau’s design consisted of geometric patterns, with avenues and moats, which separated the garden from its natural surroundings, where beyond the gardens was the Carp Pond. 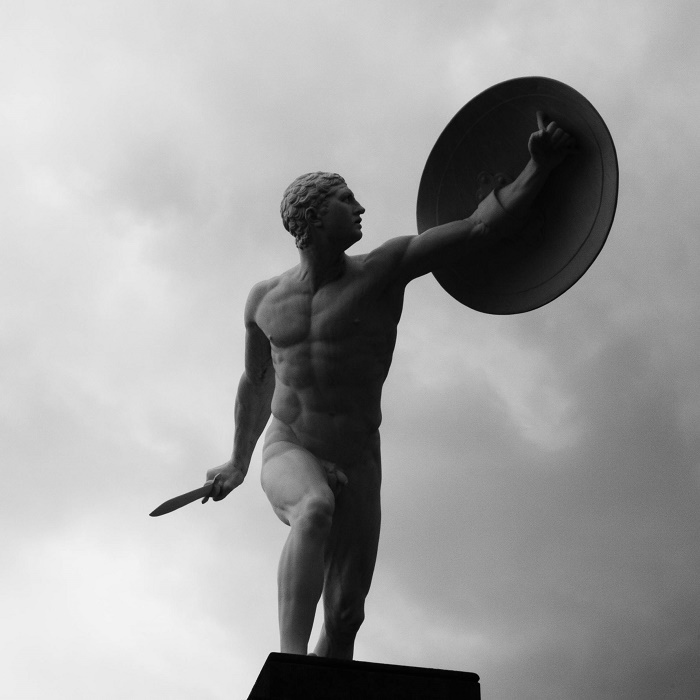 In 1787 the garden was redesigned by the royal gardener Georg Steiner in the English landscape style, but after the Second World War it was brought back once again to the previous state as it was in 1697. 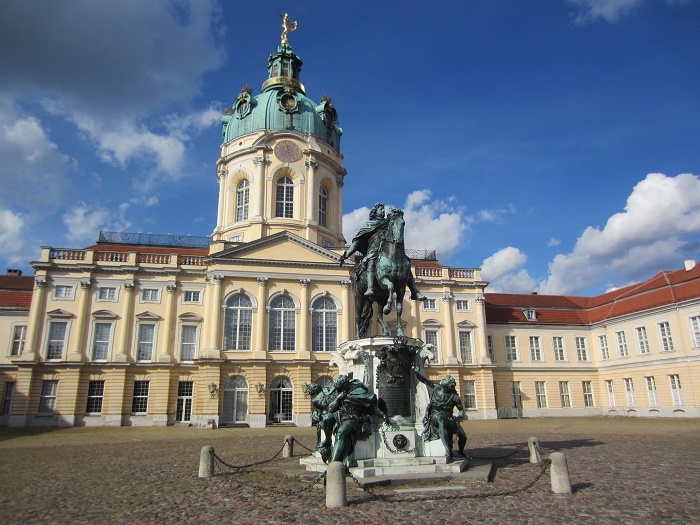 As a matter in fact, the Charlottenburg Palace was severely damaged in the Second World War, and the rebuilding began in 1950s. Charlottenburg Palace’s former theater is now home to the Museum for Pre and Early History, which boasts items from the famous Troy excavations carried out by Heinrich Schliemann in the 1800s, and what is interesting is, if one is interested only in the gardens, then the tickets can be purchased specifically just for them. 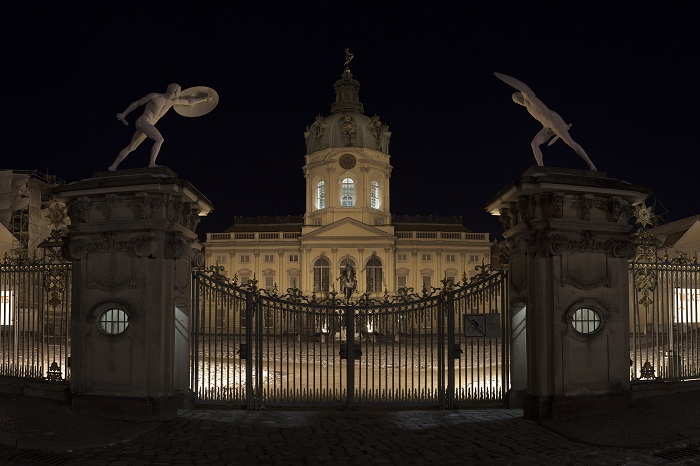 As a major tourist attraction, parts of the interior of the palace are open to the public, including the Old Palace, as well as the New Wing, the Belvedere, the former Palace Theater which today is the Museum für Vor- und Frühgeschichte, or easy to comprehend a museum of prehistoric archaeology, and the Orangery now houses a restaurant and café. 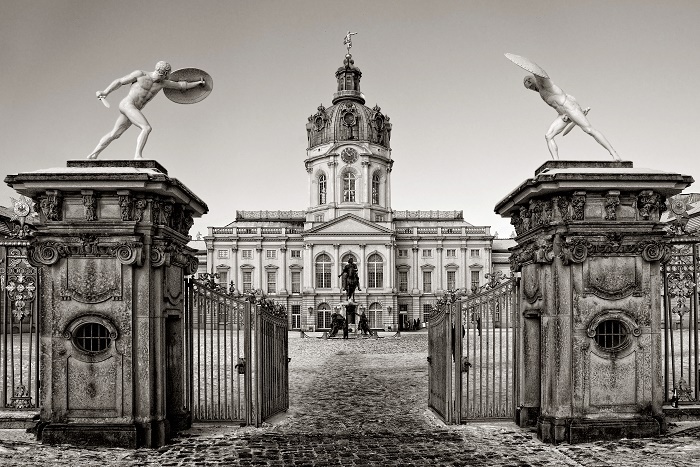 Being a gorgeous and alluring place, not just in Berlin, but also in Germany, it is popular for the classical music concerts that are hosted from April to October, where an orchestra performs in baroque costumes, so that the visitors would get the real royal feeling of the past.